Grande Real Estate is a boutique real estate company founded on the principals of integrity, personalized service and the most in-depth market knowledge in the area. We’ve been in the real estate business for more than 18 years with 14 of those living, working, buying, investing and building in Costa Rica. Dave Corredor grew up in Marin County, California, just across the Golden Gate Bridge from San Francisco. Dave and his wife, Annie came to Playa Grande over 14 years ago just after getting married. The plan was to take a year off for a long honeymoon and drive to Costa Rica with their two dogs, Ripley and Jack Brown. Once Dave and Annie got to Playa Grande, they decided it was a place to stay. In 2004, the couple founded RipJack Inn, one of the top hotels and restaurants in the area. In 2008, the couple had their daughter Maggie, the light of their life. 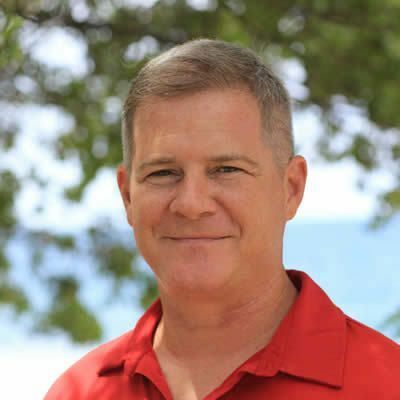 Previous to coming to Costa Rica, Dave was a highly successful commercial real estate agent in Silicon Valley with Cornish and Carey Commercial. Dave set first- and second-year standards for performance and won the Prestigious Rookie of the Year Award for the firm in 1999. His client list included PayPal/Ebay, Advocco, TellMe Networks (acquired by Microsoft), Adecco and PricewaterhouseCoopers. Dave’s career sales are in excess of $75,000,000. Dave and Annie have been in business in Playa Grande for over 12 years with RipJack Inn and real estate sales. 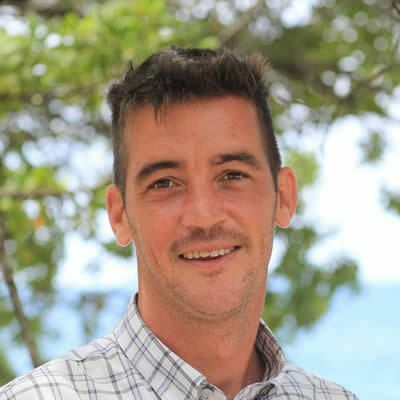 For the last 5 years, Dave has been one of the most active agents in the Tamarindo-Flamingo market area and has deep knowledge of the entire area. Dave and Annie have built their family home and held various real estate investments while in Playa Grande as well. Dave also volunteers as a member of the Board of Directors of the Playa Grande town water association (ASADA Playa Grande). Other interests include surfing, mountain biking, and support of children in the area through the La Paz Community School that Maggie attends. Mathieu was born and raised in Montreal, Quebec, Canada. Mathieu studied language at CEGEP du Vieux-Montréal and religious studies at Université du Québec à Montréal. After graduation Mathieu began working as a translator for Deluxe Digital Studios, a major company in the film industry. With the ability to work remotely, Mathieu decided to move to Costa Rica more than 7 years ago. Mathieu began working in real estate 5 years ago helping senior brokers work with French- or Spanish-speaking clients. He quickly realized his ability to help buyers and sellers because he has an in-depth knowledge of the greater Tamarindo-Flamingo area. Prior to joining Grande Real Estate, Mateo worked with Blue Water Properties and Keller Williams. When he is not working in the Playa Grande office, Mateo is most likely riding his motorcycle in the Nicoya mountains or spearfishing near the beaches of Cabo Velas. He is our multilingual real estate consultant…he speaks fluent French, English, Spanish and a little German!